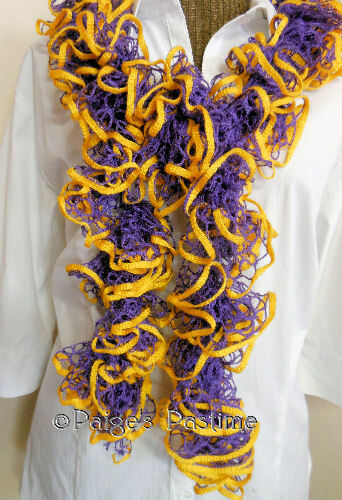 Add a soft accent to any ordinary outfit with this ruffled crochet scarf. 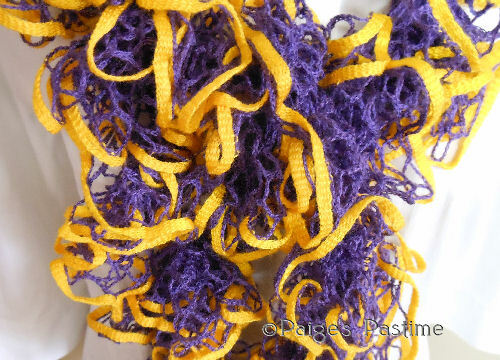 Created in purple and gold yarn, it measures approximately 49". Hand wash in cold water; lay flat to dry.